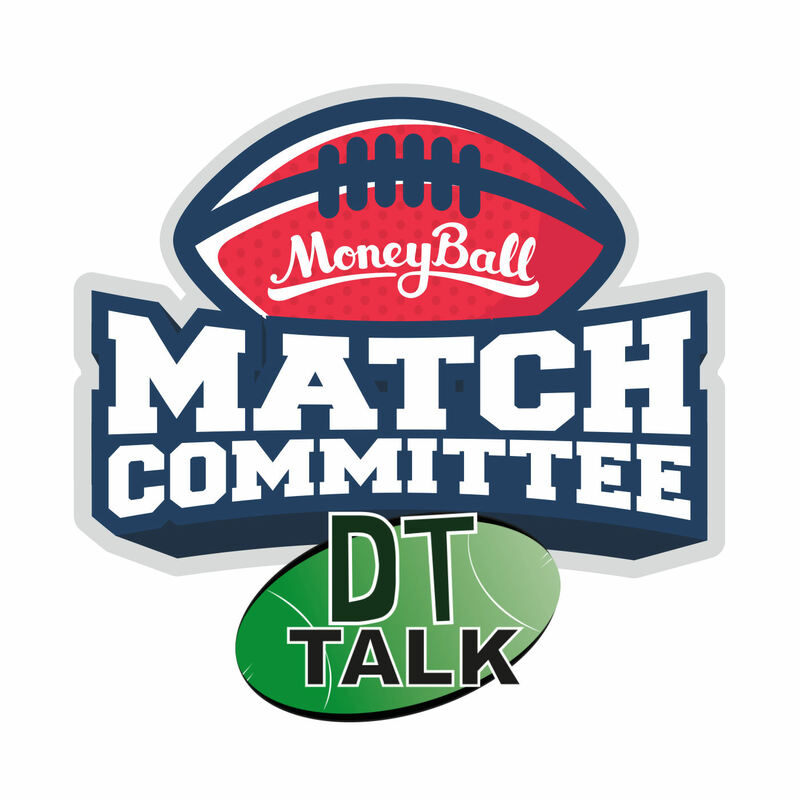 For the maximum edge over your DFS competition, make sure you’re soaking up the good oil in the Match Committee Podcast while building your Moneyball line-ups for Round 20. Good luck! Despite being the best team in the land, Richmond give up a lot of disposals; the 7th-most in the league, in fact. Ablett thrives when he gets his hands on the pill, averaging 120 from 9 games where he’s collected at least 26 touches this year, including a lowest score of 105 from those games that qualify. On top of a strong match-up, he ticks off the form (110, 110 and 130 in his last few) and history (averaging 117 in his last 5 games against Richmond) boxes with ease. Ablett simply has to be in your thinking this Friday. Richmond are giving up the 6th-most points to RUC’s this year, as Stanley knows all too well – he pumped out 113 on the Tigers earlier this year, which was his highest score for season 2018. Stanley’s inspiration must have been sparked by Nank in that game because he’s been on a roll since then, averaging 94 MB over his last 6 games, and he’ll hover around that figure tomorrow night. While his form isn’t too crash-hot with 3 consecutive scores in the 60’s, Vlastuin’s history against Geelong will pique the interest of the more superstitious punters out there. His last 3 scores against the Cats read 92, 107 and 98, almost as if a structural weakness is being exploited… That idea is certainly supported by the fact that Geelong give up the 4th-most points to small DEF’s this year. Unique pick. Even if Cotchin’s scoring (form line of 60 MB) was enough to make him desirable, the media seemingly unearthed mail during the week that he’ll be adding a Scott Selwood tag dynamic. Add in the fact that he hasn’t scored a ton versus Geelong in any of his past 7 games, and we have a unanimous fade candidate here. Cotch would be 0% owned here if the universe was just. Heppell’s faded into the background these couple of years as a upper-echelon pick, but he’s back in Premium-level form and deserves consideration here. He’s averaging 109 over his past 5 starts, and boasts 156 and 114 in his last two against the Hawks. Want an excuse to go against the grain and pick up Hurley? Hawthorn gives up the most points to Key DEF’s this year, which might be enough to counteract the more lockdown-focused Hurley of recent times (61 and 38 in his last two). The backman averages 88 against the Hawks in his last 4 efforts, so you have strong statistical backing if you want to zig while others zag. Ceglar has been near faultless with 97 and 80 in the past fortnight as the sole ruckman with McEvoy out injured. I’m saving the extra $1.1k over Bellchambers here, who can be frustratingly inconsistent. Zach Merrett was quoted during the week as saying Titch being tagged is a “no-brainer”, and it’s never a good sign when your player cops heat from the opposition 5 days out from actually taking to the field. The Bombers have only tagged this year – but when they do it, they do it well, as Devon Smith held Sidebottom to just 77 on Anzac Day. No Jacobs means no tag based on North’s recent games, and that’s a massive factor for Zorko. He’s coming off 110, 116 and 128 (with a failed Jacobs tag) in his last few against the Roos, and I’m most intrigued by the 9 tackles he laid in that most recent meeting. Zorko’s ceiling is heavily tackle-reliant, posting scores of 109, 176, 134, 110 and 128 when reaching 9 tackles this season. BEST STAT: Heavyweight ruck battle! Who do you like? Todd Goldstein ($8,700 RU) has the form on his side, averaging 112 over his last 6 games this year – which is more than Max Gawn. On top of that, he averages 102 in last 6 against Brisbane to figure as a relatively ironclad choice. If you value consistency, Stef Martin ($9,200 RU) has a lowest score of 90 in his last 6 games against the Roos. Whether it’s coincidence or just a sick hatred for the Lions, McDonald has destroyed them in recent times with 113 and 133 in their past two meetings. Amazingly, they account for 2 of his past 3 tons at AFL level, so who’s up for Round 3? It’s a vanilla pick and he saw a big price jump last week, but how can you pivot away from the guy who posted career-highs with 118 MB and 37 touches last week. Ahern’s highest score before that was on debut with 92 MB from 29 touches… Against the mighty Brisbane Lions. With Seedsman out, all rebounding duties default to Laird, who scored 125 in his only game without Seedsman this year. Laird is going for his 5th ton in a row at Adelaide Oval, and I can’t see any scenario where he fails to hit that this Saturday. Loves a Showdown, does Robbie! His last 7 games against Adelaide reads 102, 101, 127, 112, 90, 112 and 104, and he averages a healthy 91 at “Home” this year, compared to just 81 “Away”. Recent form isn’t ideal, but you know what they say about Showdowns, Derbies and Clashes – it’s a different game and the stars always shine. With 79 and 72 in his first two career games, holding out some quality defenders on Port’s list. What’s not to love at basement price? Beware the Knight tag, as his targets score 23 points less than normal on average – albeit from a small sample size with just 3 games as a tagger this year. Still, the victims are stacking up, with all of Selwood (73), Beams (85), and Oliver (89) failing to hit their value points under Knight’s watchful eye. The Bulldogs have conceded the most points to MID’s over the past 5 weeks, which coincides with Ross’ return to form after producing 121 and 105 in the past fortnight. Plus, this game is at Etihad where Ross averages 110 this year, compared to just 92 when not under the roof. For what it’s worth, Jackson Trengove ($6,000 FWD) has been named as the ruckman this week and with what did last week, on top of his insane streak as a Port ruck all those years ago… I’m very interested. Last 3 VFL scores: 100, 117 and 139. St Kilda traded for this bloke, and injury-prone, uncapped rookie, and he’s still in the system after 6 years without a debut – that’s how you know a kid can play. He’s cost you more than the regular debutant, but all signs are that he might just be worth it. Macrae’s in Jack Steele’s sights this week, whose targets score 11 points less than normal on average. He’s only been beaten once in his past 5 assignments: Oliver (82), Wines (69), Cripps (122), Martin (90) and Ward (73). I don’t want to kick a man when he’s down, but Macrae’s last 3 scores of 89, 96 and 85 against St Kilda is the nail in his DFS coffin this weekend. Over the past 5 weeks, Sydney has conceded 108 AF on average to opposition ruckman, at an incredible 21 points over their usual individual averages. I’m not genius, but adding 21 points to Grundy’s average is a spritely 139… Grundy’s only game in the last 3 years against Sydney was a 133-point belter from 43 hitouts, so there’s literally no reason not to spend up on the All-Australian contender this Saturday. Who knows how the additional absences of Howe and Scharenberg affects him this week? One thing’s for sure – he won’t be in my line-ups until we find out. He’s cheap, but that’s about as far as you can really get excited about a guy who’s averaged 66 over his past 5 VFL games – form apparently good enough to earn him his AFL debut. In saying that Madgen has notched at least 4 marks in his past 9 VFL games, so should fit into Collingwood’s defensive system well, where they like to share the ball around uncontested. Beware the Hewett tag, whose targets score 22 points less than normal on average – the best of any tagger in the competition with more than 3 games as a stopper. Sidebottom’s scores with tags this year reads 77, 81 and 48, so I find it highly unlikely that I’ll be parting with $9.4k for a wet blanket this Saturday evening. Carlton have been allowing the 3rd-most points to MIDs over the past 5 weeks, a trickle-on effect of conceding the 6th-most marks this year – and we know Whitfield scales incredibly well off mark-kick combos. His scores with 8 or more marks this year are 114, 123, 126, 120, 150, 114 and 130, which is absolutely bonkers. Whitfield is the 3rd-highest averaging player over the past 3 weeks at 131 per game (behind Titch and Cripps) and will be highly sought after in DFS on Sunday. GWS have only tagged once this year (Zorko to 43 when he was in a serious rut), but importantly not at all in the past 12 weeks. From Cripps’s perspective, the Brownlow fancy averages 11 points more without a tag this year that when he’s blanketed. Given his form there’s every chance that GWS break from tradition and send a de Boer to him, but his form is so pure lately that I’m not sure anyone can stop him. Carlton concedes more points to key forwards than any other team this year, allowing them to rack up 16 AF more than their normal output over the last 5 weeks. Cameron will be champing at the bit after sitting out with a lengthy suspension, and I’m predicting a bag from him on Sunday. Jeremy’s scores with more than 3 goals this year are 111 and 135, so the reward is there. Gold Coast have conceded the 2nd-most points to RUC’s over the past 5 weeks at a hefty 105 per game, and that’s despite what Witts has been able to accomplish offensively. Gold Coast are a trainwreck right now and Gawn was capitalising on them when they at least had their ducks in a row with 138, 106 and 111 in his past three tries. What heights will he reach against the imploding Suns this week, especially at the MCG where he averages 119 this year? Weller came at a hefty price at the trade table and he’s finally been allowed to repay the faith with a move into the midfield a fortnight ago, and he’s produced 109 and 80 since. David Swallow’s concussion-based absence is huge for him too, because that 109 came in the only other game that Swallow missed this year – it was probably the reason why he was injected into the midfield in the first place. With both Barlow and Lyons left out of the side, someone has to play in the guts and I think Lachie’s earned himself the minutes. Gold Coast have more taggers than midfielders these days, with Miller, Sexton and Lonergan all asked to do jobs in recent times. Oliver’s scores when tagged this year are a concern (88, 93, 82 and 89), as they account for 4 of his 6 non-tons this year. The college Junior was BOG against the Suns earlier this season with 29 disposals, 11 tackles, and 122 AF, so rest assured that he’ll be on Dew’s radar. The giraffe averages an extra 16 points without NicNat this year, a juicy 85-point average, and he won’t have to deal with Sandilands this time around. Freo give up the 3rd-most points to RUC’s over the past 5 weeks – which is the time frame that the Big 211 has been missing – and I’ll take his experience over a young Sean Darcy ($5,100 RU) this Sunday, although flexing both is certainly an option on a value basis. He’s won the last two Glendenning Medals for BOG in a Derby, and with scores of 134 and 127 in those games, you can see why. Hurn racked up 14 and 11 marks in those games, which is consistent with the fact that Freo have given up the most points to DEF’s this year. Bunga’s unders here. The Moneyball price-change algorithm is a slow one, and with Redden’s early-season form lukewarm to say the least, we’re now getting a guy averagign 120 of the past month for sub-$9k. Redden loves a Derby too, with scores of 118 and 124 in his last two. Stock-standard pick here, but with the ceiling to pay big dividends. Beware the Hutchings tag! His targets score 19 points less than normal on average when hunted, evidenced by his last 5 victims: Sloane (68), Kelly (89), Sidebottom (48), Macrae (76) and Higgins (81) have all felt his wrath. Neale is usually a big Derby performer with 114, 114, and 138 in his past few, but that was with Fyfe to soak up the first tag. He won’t have that luxury this weekend. Want to win a trip to the AFL Grand Final? Of course you do! Check out all the details here!